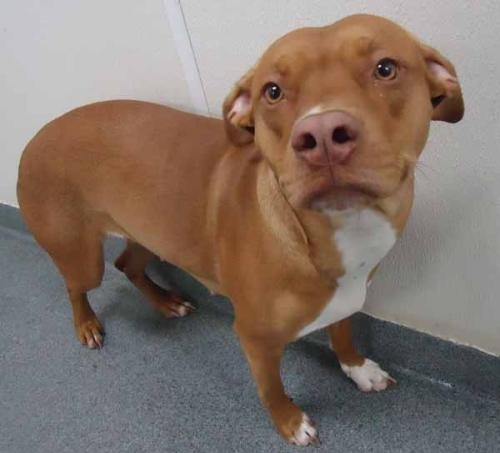 Babygirl — This adult female pit bull terrier is a stray that was found on Haskell Lake Road in Clare County. Babygirl is around 3 yrs old and she weighs around 45 lbs. She is very sweet and she loves attention. For more information, contact the Clare County Animal Shelter. 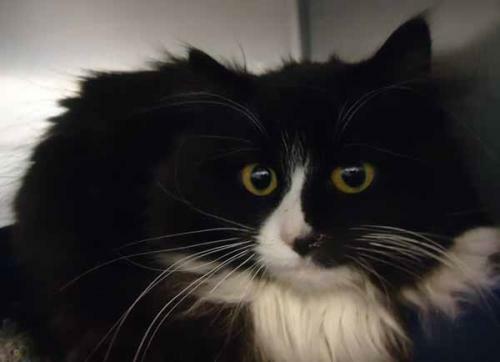 Mouser is a domestic longhair mix. 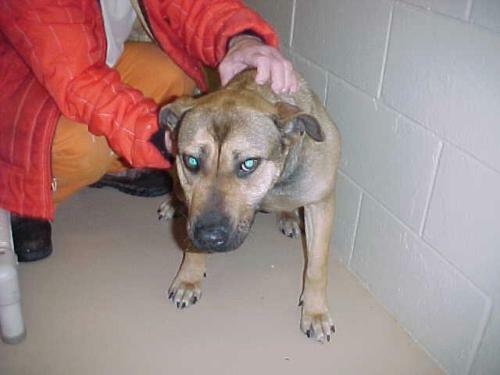 He is an owner surrender that needs to find a home. Mouser is around 2 yrs old and a medium-sized adult cat. Mouser is shy at first but warms up quickly. For more information, contact the Clare County Animal Shelter. 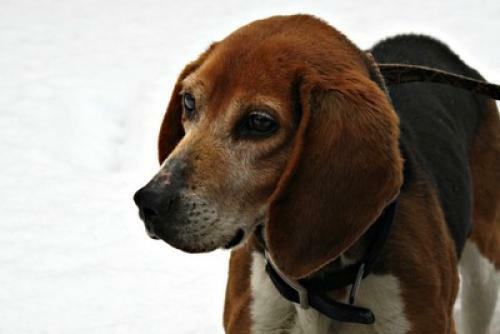 Fred is a beagle mix, medium-sized, senior male. All dogs are spayed/neutered, tested for heartworm, given a rabies vaccine, canine distemper vaccine, bordetella vaccine, advantage multi (prevents fleas, worms, heartworm). The shelter also microchips all dogs and provides a starter bag of food. A canine specialist would be glad to help match you with a dog that fits your lifestyle. For more information, contact H.A.T.S. at the Isabella County Animal Shelter. Gail is a domestic shorthair medium-sized male adult cat. 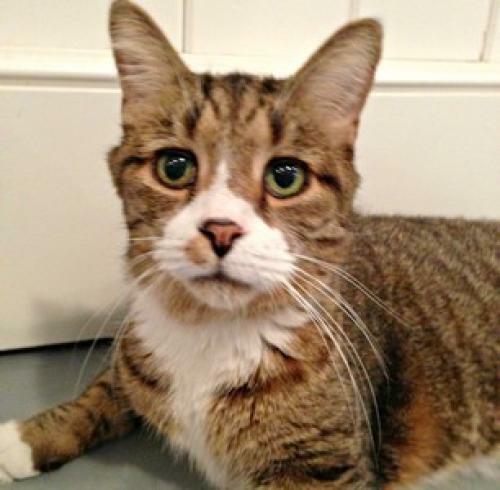 Gail is an incredibly sweet soul with a handsome face to match. There are so many cats at the shelter right now waiting for homes. They are all spayed/neutered, vaccinated, feline leukemia/FIV tested and wormed. For more information, contact H.A.T.S. at the Isabella County Animal Shelter. Ona — Hello! I am 1 year of age and about 70 pounds. I am a sweet girl. I am a little shy at first with people but get over it quickly. My family no longer wanted me so I am hoping to find my forever home. For more information, contact the Gladwin County Animal Shelter.